This depends on what categories are on your driving licence. Everybody should have the entitlement to drive vehicles up to 3500kg GVW with up to 8 passenger seats ( age restrictions may apply ) apart from those holding a provisional license. . If you passed your driving test before January 1997, you may have catagory D1 on your license which allows you to drive minibuses but please check before booking your vehicle. Category C1 covers commercial vehicles up to and including a maximum weight of 7,500kgs. Category D1 covers minibuses with no more than 16 passenger seats. Unfortunately due to insurance regulation we are required to see original driving licences, photocopies will not be accepted. We will not be able to contact the DVLA under any circumstances. EU, Commonwealth and North American licences are normally acceptable, but we may have to check licences issued in other countries with our insurers first. If you hold a foreign license and are living in the UK, you must be able to provide a current UK address. If you are a foreign visitor, you must be able to provide details of your current accommodation. The minimum age for overseas drivers is 25 and you must have a current UK address. If the driver has been resident in the UK for more than 12 months then a UK licence will be required. 4 X 4 CUSTOMERS OWN INSURANCE ONLY. Of course any excess is refunded if we recover the accident costs from a third party, and if the damage amounts to less than the excess, you will only be charged for the actual cost of repairs. In addition to the above, any additional damage caused by operating a vehicle with a fault could be liable for the full excess. For example, if you realise you have used the wrong fuel but continue to drive the vehicle, any additional damage caused would be your responsibilities. If the vehicle develops a fault we would ask you to contact us immediately so we can access the situation and arrange breakdown recovery if required. This will help us prevent additional vehicle damage from occurring. Yes but it is usually only corporate hirers who are able to cover vehicles on their own insurance. Any cover must be fully comprehensive and valid for the type of vehicle hired. We must also have a copy of your insurance certificate. Vehicles will also be liable to loss of use in the event of any accident, Please contact us for more details. You can book a hire vehicle over the telephone, or in person. If you just need a quote for now, we are only too pleased to help. To book a vehicle with us we will require you the driver’s full name, age, driving experience, current address, contact telephone number, license details including any points or endorsements and payment details although the payment will be processed on the day of collection. You can make a rental enquiry for any vehicle from the home page by just filling in a simple enquiry form we will reply to your enquiry as soon as possible. Where ever possible we will adjust your booking to suit your requirements, however cancellations must be made 24 hours before the hire start time otherwise a cancellation fee of up to 100% of the hire charge will be incurred. If you need to amend or cancel a booking, please call us immediately. 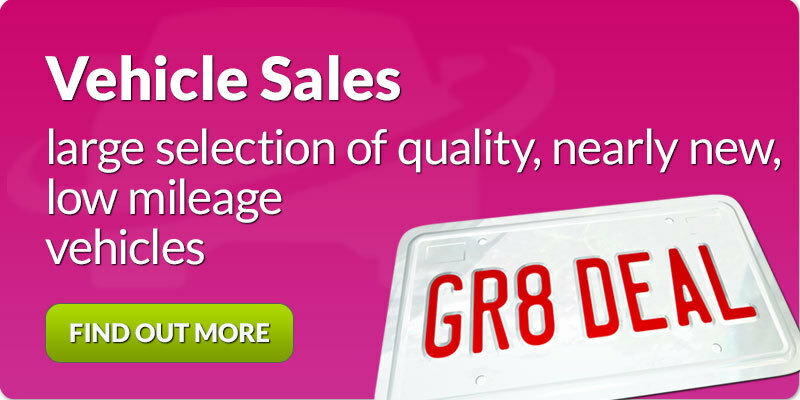 Unless otherwise stated, the price quoted will include your hire, insurance cover, roadside breakdown cover, and VAT. For corporate customers, we would normally quote ex-vat and give you the opportunity to provide your own insurance cover. You will be given a Rental Agreement to check and sign. This will show any additional services with the relevant charges. WE DO NOT OFFER UNLIMITED MILEAGE. It is illegal to smoke in any of our vehicles as they are considered to be a public place so we would ask that you please do not smoke in any of our vehicles, this includes any passengers. A smoking fine of up to £100 will apply for people who smoke in our vehicles. Although we do not expect vehicles to be returned clean, we would also ask that you respect our vehicles. Excessive rubbish, drink spills, paint spills, pet hair, mud or other substances found in the vehicle may incur a valeting charge dependant how long it takes to clean the vehicle. For any Penalty Charge Notice received whilst the vehicle is on hire to you, an administration fee of £20 will be charged for each PCN received. This includes congestion charges, speeding fines and parking fines. Every vehicle is supplied with a full tank of fuel unless otherwise stated and it is your responsibility to ensure the vehicle is returned with a full tank of fuel. A refuelling surcharge of £10 will apply for any vehicles requiring refuelling so please make sure the fuel gauge reads full at the time of returning the vehicle. Most major Credit and Debit Cards are accepted including Mastercard, Visa, Switch, British Maestro and Visa Delta Debit Cards are accepted. American express and Visa Electron are not accepted. Card details can be taken over the phone to secure the booking, on collection of the vehicle the card holder must be present along with the card. Please note, due to new restriction from our insurance company, we are no longer able to accept cash payments. We apologise for any inconvenience this may cause. Can I set up an account? Business customers are welcome to apply for credit facilities, although these are of course subject to credit and reference checks. If you wish to apply for an account, please contact our office and we will forward an account application form for you to fill in and either return by email or post and we will contact you once your account has been accepted. Have 6 or less penalty points*. Please note if you have 9 points or have a DD, DR or BA endorsement within the last 5 years you are not able to hire from us. Be aged between 23** and 72. * Please note an additional excess charge will be required if you have more than 3 penalty points and, for insurance purposes, penalty points stay on your license for 4 years. Please let us know of any points or endorsement on your license at the time of booking. Hirers aged 23 ,24 and 25 can only drive group A cars, small and custom size vans and must have held a license for at least 24 months. To hire a multi seat vehicle or minibus, hirers must be aged 26 or over and must have held a full driving license for at least 2 years and have the necessary category on their license (for 9 seats or more only). We allow up to one drivers free of charge, provided they meet with our insurance requirements and we see their full licence. You can add extra drivers at a weekly charge of £40.00 + vat each. All of our vehicles are provided with a full tank of fuel unless otherwise stated. All vehicles should be returned to us with a full tank of fuel, otherwise a refuelling charge may apply. All our vans and commercial vehicles are available on a full day basis with a limit of 250 miles. Half day hires can only be taken on a saturday morning between 08.30am to 12.00 mid day. Vans are also available for evening hires (1700hrs to 0800hrs), but the minimum hire period for cars is 1 day. Our office is open between 0800hrs and 1800hrs, Monday to Friday. We are also open on the weekend between 0830hrs and 1200hrs on Saturdays . If you can't get to us during these times, please contact us with your requirements and we will do our best to help. We also have an out of hours or emergency contact number which is 07860 847470. Our special weekend prices start from 1700hrs on Friday to 0800hrs on the following Monday. 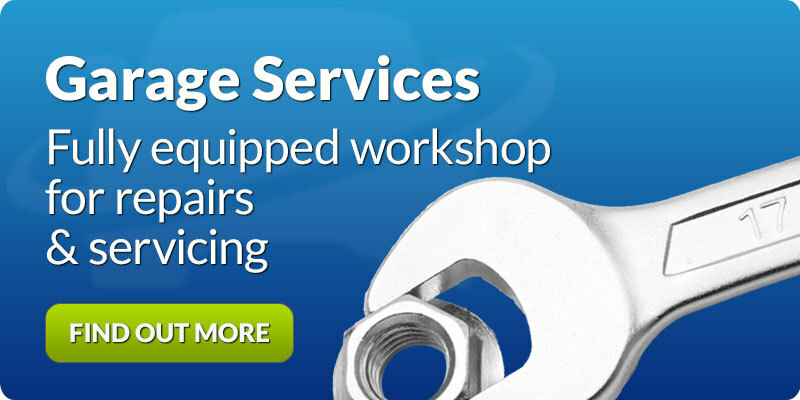 If you require the vehicle a little sooner or would like to drop it back a little later this is usually possible depending on availability and other bookings, additional charges will apply. All of our vehicles are available for overseas hire, as long as they are returned to the UK. We also need to know in advance if you are planning on travelling overseas in order to arrange the necessary paperwork, overseas insurance, and touring kit. There are extra costs for continental travel, so make sure you mention this when getting a quote. We will need to know what country you are travelling too, the dates of travel and the driver’s details for quotation purposes. Additional Breakdown cover will need to be obtained by the customer whilst the vehicle is off the mainland. 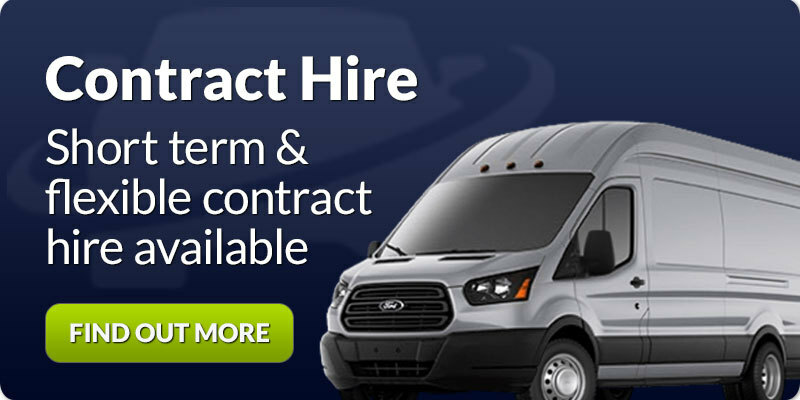 We can offer a range of vehicle hire options for any length of time including weekly, monthly, yearly, open-ended hire, fixed contract and even a full maintenance contract hire over a number of years. We are happy to quote for any duration and we can even order specific vehicles as required, so please contact us for more information or a quotation. Unfortunately as we are a single branch we cannot offer one way hire. You need to notify us as soon as possible and follow the procedure laid down in our terms and conditions. We would ask you to record as many details of the other driver and vehicle as possible and also, if you have a camera phone or similar, take some photographs of the damage, location and any other vehicles involved, if there are any independent witnesses please take their details. For most accidents, we will require you to complete an Accident Report Form for insurance purposes. Your deposit will be taken, although this would be refunded if we recover the accident costs from a third party. If the damage amounts to less than the excess, you will only be charged for the actual cost of repairs and refunded any remaining money. We can offer certain vans and minibuses with tow bars, Sorry roof racks are not available for minibuses but may be available for some vans. This all depends on the exact size of the furniture you are trying to move, but most single items of furniture will fit in a short wheel base Custom van. Please contact us with the dimensions of the item(s) you are trying to move and we can best advise you what vehicle you will need. Depending on how much furniture you have, the best option would be a 3.5ton Luton Van with tail lift. . lutons have a large square load space with several strapping points and the tail lift helps with loading heavy items. A 3.5ton Luton Van will hold approximately 16m3 . If you would like to check the size of any vehicle in person, you are welcome to visit and look inside the vehicles before deciding. Sorry we do not allow any animals in our vehicles. A full driving licence for all named drivers, If you hold a photocard licence, the photocard AND a code obtained from https://www.viewdrivingrecord.service.gov.uk/driving-record/licence-number )should be produced as the counterpart licence has now been abolished. You could also produce your national insurance number if this is an easier option. Generally most vehicle hires start from either 0800 hours for an AM collection or from 1700 hours for a PM collection and our standard hire runs over a 24 hour period so just let us know when you would like to collect the vehicle when you make your booking. If you require the vehicle a little sooner or a little later, this is usually possible depending on availability and other bookings, but may be subject to additional charges. Please note we would charge a two day hire for a 24 hour period starting from 1200hrs to 1200hrs the following day. For private hirers, it is not possible to deliver the vehicle to you unless the paperwork has been completed previously as we need to complete the rental agreement with you, in person, at our office and check your license details are correct. However, depending on how busy we are, we can collect you from within the local area and bring you to our offices for completion of the rental paperwork. For corporate hirers, we are happy to deliver vehicles to your business premises if the vehicle will be covered by your own fleet insurance policy. If you are operating on our insurance, we can still deliver to you but we must see the driver(s) license details prior to the rental agreement being completed. This will depend on when you booked the vehicle from. If your hire started at 0800hrs then the vehicle should be returned by 08.00hrs on the morning of the hire end date. If your hire started at 1700hrs then the vehicle should be returned by 1700hrs on the end date of your hire. It is always worth checking when you collect the vehicle whether we can give you a bit of leeway, we will always try to be flexible depending on current bookings. Unfortunately we do not offer out of hours drop off facility the vehicle will need to be returned as soon as possible within opening hours. please be aware that if the vehicle is dropped back out of hours and left outside without keys this still remains your responsibility until the vehicle is checked in by us, usually the following morning. If you wish to keep the vehicle longer than the contracted period, just let us know and your rental documents can be extended as long as payment is made. Please let us know as soon as possible as other bookings maybe affected but we will provide you with some options if this is the case. We have a certain amount of customer parking spaces but at busy times we cannot guarantee being able to park on our premises. ALL VEHICLES LEFT ON SITE ARE LEFT TOTALLY AT THE CUSTOMERS OWN RISK, NO RESPONSIBILITY WILL BE TAKEN BY MIDHIRE UNDER ANY CIRCUMSTANCES. VEHICLES LEFT ON SITE WILL NEED TO HAVE KEYS HANDED INTO RECEPTION BEFORE LEAVING THE PREMISES, VEHICLES CANNOT BE LEFT WITHOUT LEAVING YOUR KEYS.